I really loved this short post from Amsterdamize in which he quotes Michael Bauch, director of the bike documentary Riding Bikes With the Dutch: “We don’t need more cyclists. What me need are more people that ride bikes.” Truer words have never been spoken. Imagine if drivers acted like cyclists. While a car driver spends an enormous amount of time deciding what kind of car to buy, once he has his car, he just drives. He doesn’t have to buy special driving shoes, socks, or pants, and the days of driving gloves are long gone. He doesn’t worry about his seat belt wrinkling his shirt. He doesn’t buy special driving food or electrolyte-filled beverages to fuel himself through his journey. If he did all of these things, he might never get in his car. We need to treat biking more like driving. By all means, spend some time thinking about what kind of bike works best for you, what features you’d like, or what color you want your bike to be. (Car drivers sometimes spend more time counting cup holders than horsepower, and I see no reason why someone who rides a bike can’t be as frivolous.) 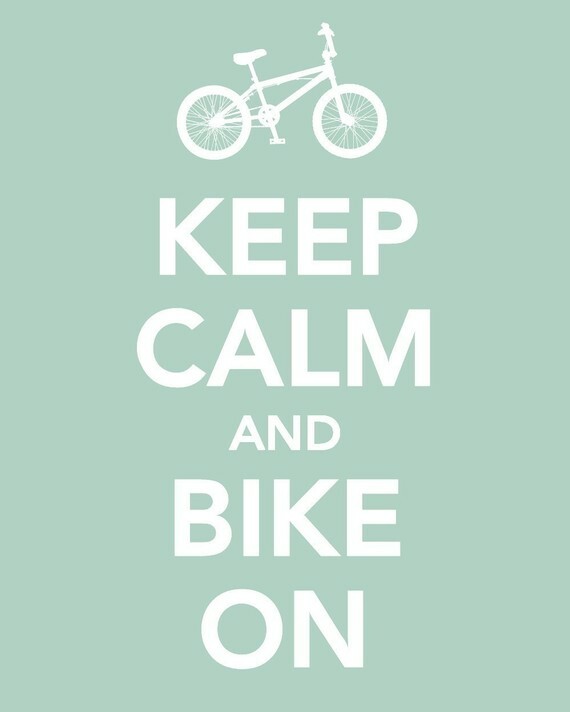 But once you have a bike, just get on it and ride. Sure, you might need a more comfortable pair of underwear if you’re going on a long ride, but that’s about it. If you want to get out and experience your city, I have one word for you: ride. You can obsess over lights, jackets, lycra, bells, helmets, messenger bags, baskets, and more, but every minute you spend doing that is a minute you won’t be on your bike. Plus, as Amsterdamize notes, you’ll wind up spending money on stuff you don’t really need. I think there are great pieces of clothing and gear that anyone who commutes by bike should have, and I’ll list some of them in a coming post–it is the holidays, after all–but remember, put the word “biking” before the words “shirt,” “pants,” “gloves,” or anything else, and those same items will cost about 25% more than they would without it. The more I’ve moved from biking like Lance to just getting around by bike the less gear I’ve needed. But the less gear I’ve needed to bike the more of New York I’ve experienced. I have the time and ability to make those impulse stops along my ride that I never would take if I were in a car and had to look for parking or on the subway and had to think about where it stops. Plus, as I’ve become less of a gear-head the less I’ve had to worry about walking into a store in spandex shorts. If you do all of this, if you act more like a driver, you’ll find the true benefits of cycling without feeling like a cyclist. Plus, unlike a driver, you’ll never waste time cruising for parking and you’ll save a ton of money on gas and maintenance. Just ride.